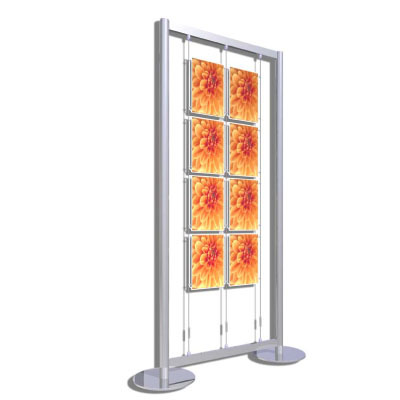 Modular off the shelf display solutions, maximum impact with minimul installation. 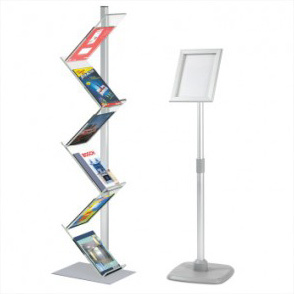 Our range of totem & monolith display stands are suitable for inside environments such as shopping malls, retail interiors, stations & airports and much more. With a selection of design styles and individual applications for each stand within the range of products you are sure to find the one most suited to your requirements. Available in various sizes this stylish totem presents a beautiful curved graphic to each face. With an additional option to add internal LED illumination for additional impact. Various sized stainless steel foots to support individual printed & cut panels to your specific design & branding. These can be printed single or double sided and have the additional bonus that literature dispensers can be attached if required. 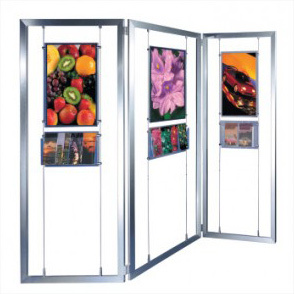 Such a simple stylish and cost effective solution to display your products with printed panels available for the finishing touch. We are able to manufacture a range of panels to fit on our universal info post frame, permenant printed graphics, poster / showcard pockets, click frames, drywipe and/or magnetic backed panels and much more.  You can either contact our sales team to discuss your specific requirement, or purchase online 24/7.